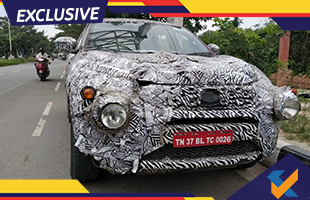 Mahindra & Mahindra has been working on a new multi-purpose vehicle (MPV) codenamed U321, and the model will be arriving at showrooms later this year. 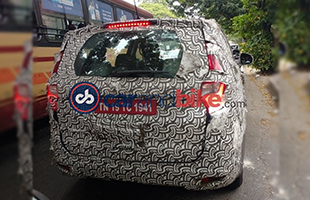 While we've spotted the U321 testing a number of times now, the Indian auto giant is finally ready to christen the new brand name for its upcoming MPV. Mahindra will be revealing the name for the U321 on July 31, 2018 in the presence of Dr. Pawan Goenka, Managing Director, and Rajan Wadhera, President - Automotive Sector. The U321 MPV will be going on sale as early as September this year. The Mahindra U21 will be arriving just before the festive season as the automaker's new take in the MPV segment. While the company has dropped little hint on what the name will be, it'll be safe to assume that the new moniker will end with the letter 'O', keeping up with Mahindra's naming philosophy. The model will take on the likes of the Toyota Innova Crysta, Renault Lodgy, Tata Hexa and the upcoming new generation Maruti Suzuki Ertiga in the segment. Mahindra had previously announced that the new model will be built at the company's manufacturing facility in Nasik, with an investment of ₹ 1500 crore. The MPV will be the third model from the car maker to be underpinned by a monocoque platform after the XUV500 and the KUV100, and is said to be developed at the Mahindra's North American Technical Centre (MNATC) in Michigan, USA, as well as the Mahindra Research Valley in Chennai. Spy shots have revealed large proportions, chrome grille, sweptback headlamps with projector lens lights, vertically stacked taillights and sporty alloy wheels as part of the package.  Previous spy images also revealed a touchscreen infotainment system to be a part of the package, along with piano black treatment and a beige finished cabin. Compared to current Mahindra models, the cabin on the U321 certainly looks like a step up. Moreover, the Mahindra U321 is expected to be loaded on features and just might come with Apple CarPlay as well, making it the first offering from the automaker. Currently, Mahindra cars get only Android Auto connectivity system, apart from Bluetooth and USB. Also expect to see the automaker's telematics system from the XUV500.